Three incredibly stunning falls, the highest flow rate of any waterfall in the world. Getting close enough to touch Niagara Falls it is a marvel. 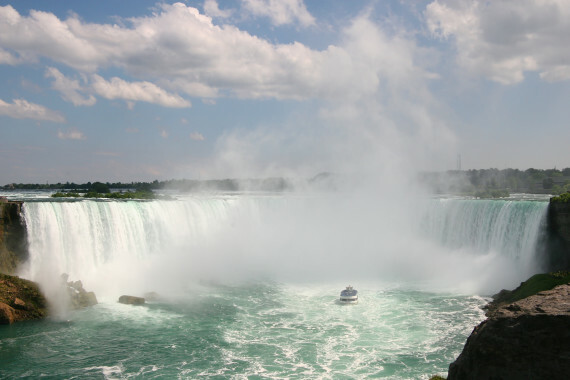 Millions of gallons of water soar over Niagara Falls every minute. There’s no closer place to “feel Niagara’s flow” than from the decks, boats, vista points and trails of Niagara Falls State Park. Beautiful scenery year-round, thrilling attractions, family-friendly, miles of hiking trails and delectable dining options, wait for you at the Niagara Falls.